Late in 2016 the 140-metre jack-up vessel 'Vole au vent' departed from Damen Shiprepair Vlissingen (DSVI) having undergone a series of modifications that have enabled her to undertake a new role. 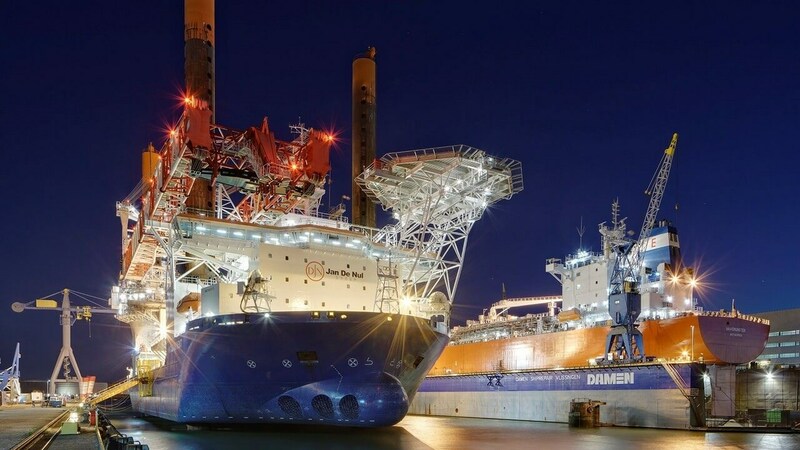 Owned and operated by the Jan de Nul Group, the 'Vole au vent' has been specifically built for the installation of offshore wind turbines and is one of the largest of its kind in the world. The 'Vole au vent' arrived at DSVI having spent the summer working on the Nobelwind offshore wind farm off the coast of Belgium, installing the foundations for fifty 3.3MW wind turbines. Jan de Nul had selected DSVl to undertake the modifications necessary for her to execute the second phase of the Nobelwind project; the installation of the wind turbine generators (WTG). 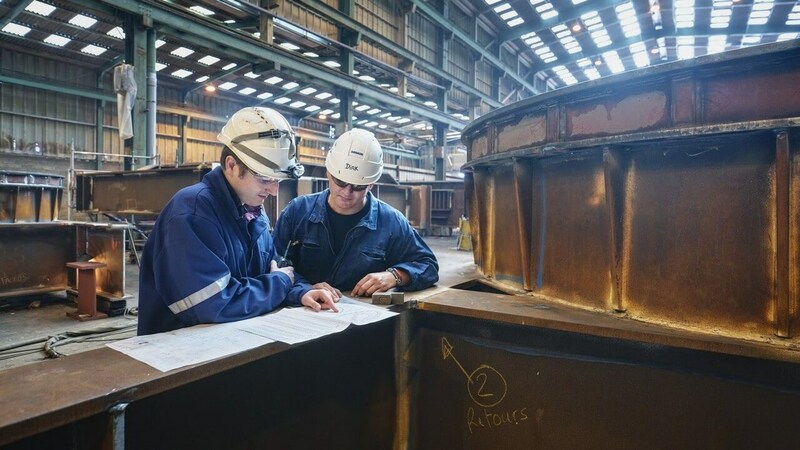 Enabling the 'Vole au vent' to do this required the demobilisation of her existing equipment used for the foundations campaign and the installation of a new configuration for the WTG installation phase. 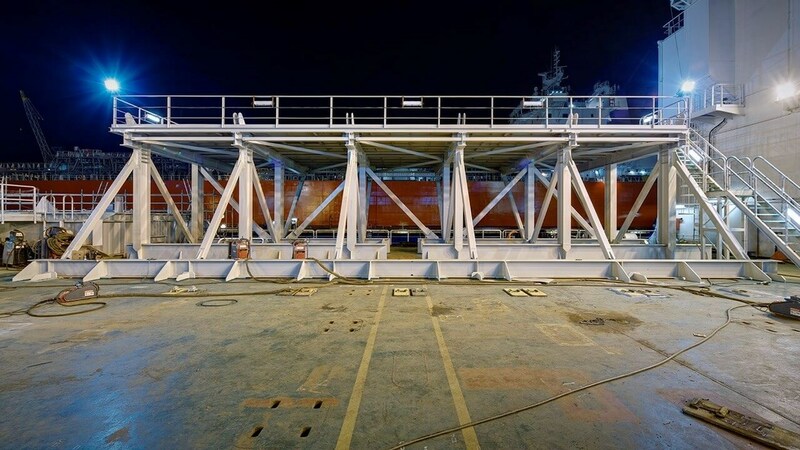 Over the course of two weeks, DSVI cleared her 3,400m² main deck of the existing equipment and a number of temporary structures, and restored it to a clean, completely flush layout. This allowed it to accommodate the wind turbine installation equipment and components, towers and blades required for the next deployment. DSVl also fabricated and installed some new deck structures including grillages for the transport of the WTG towers and nacelles. The works completed, the 'Vole au vent' headed back into the North Sea and the Nobelwind project was completed in May 2017. Other recent projects by Damen Shiprepair & Conversion for Jan de Nul Group have included three weeks of maintenance on the 223-metre trailing suction hopper dredger 'Leiv Eiriksson' at Damen Shiprepair Brest plus works on the multi-purpose vessel 'Isaac Newton' at Damen Shiprepair Vlissingen and on the trailing suction hopper dredger 'Taccola' at Damen Shiprepair Amsterdam. Damen Shiprepair Vlissingen is within easy reach of the major North Sea shipping routes and in the centre of the ARA-ports with the North Sea only six miles away, which eliminates costly diversions.